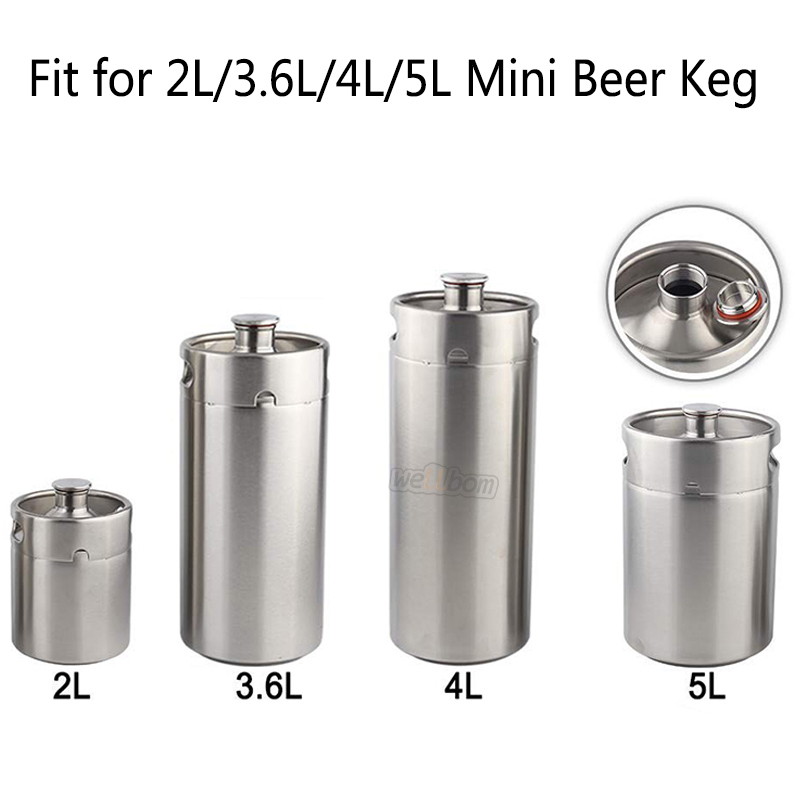 8-Fits most mini-kegs that feature inner threaded caps. 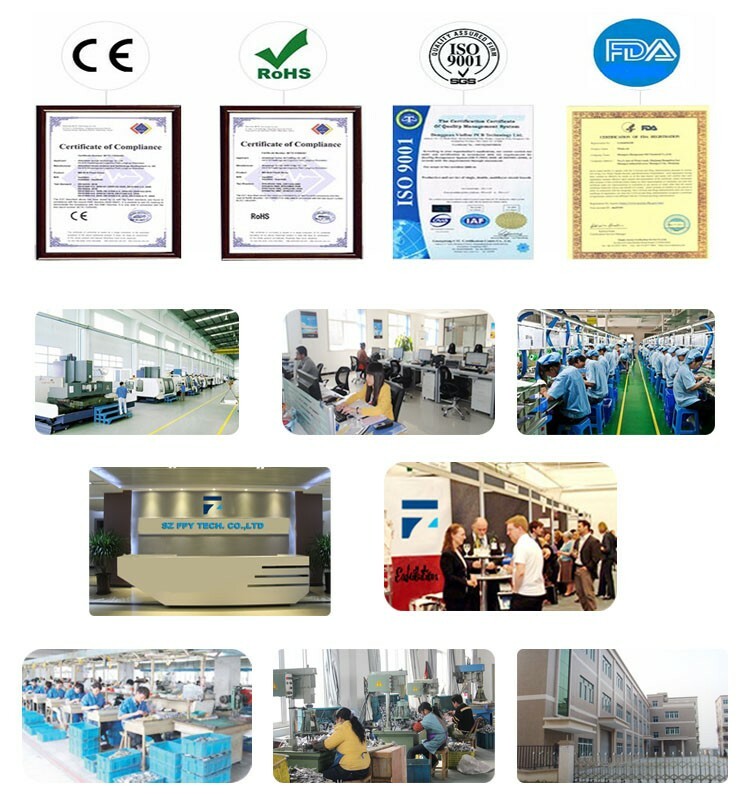 10- With our Customized package. This Ball lock disconnects for soda kegs (corny kegs) is completely new--not refurbished. It fits all ball-lock that require the standard disconnects. It has a white and a black color disconnects. 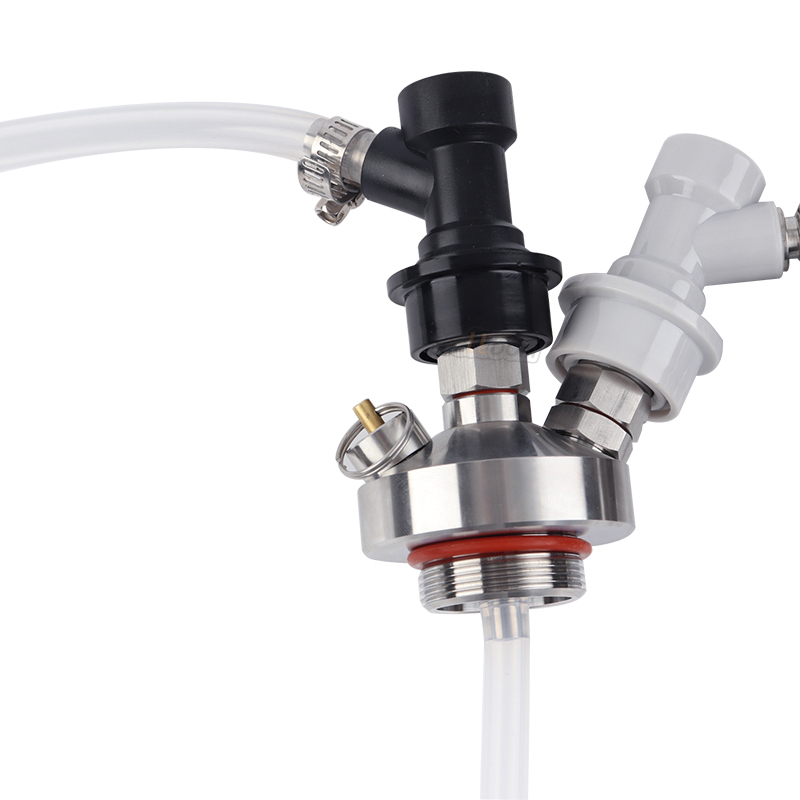 This keg charger kit is just what you need to charge your keg on the run. 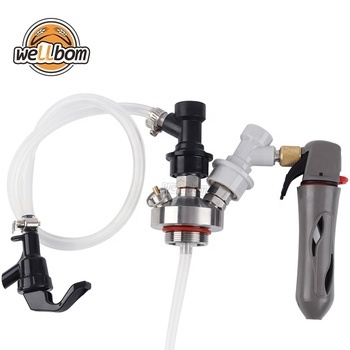 Small enough to fit into your palm making it the first choice for your portable keg setup. 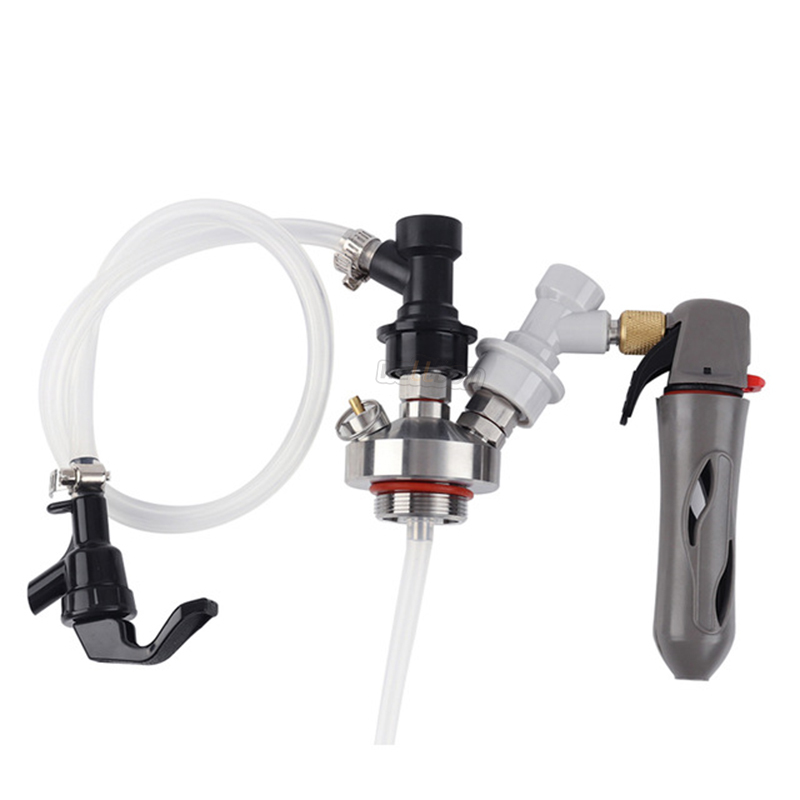 Simply screw on the MFL threaded disconnect, attach to your keg, and press the trigger to charge the keg. This pocket-sized Cornelius Keg CO2 Charger is the ideal tool for any home brewer using Cornelius kegs. 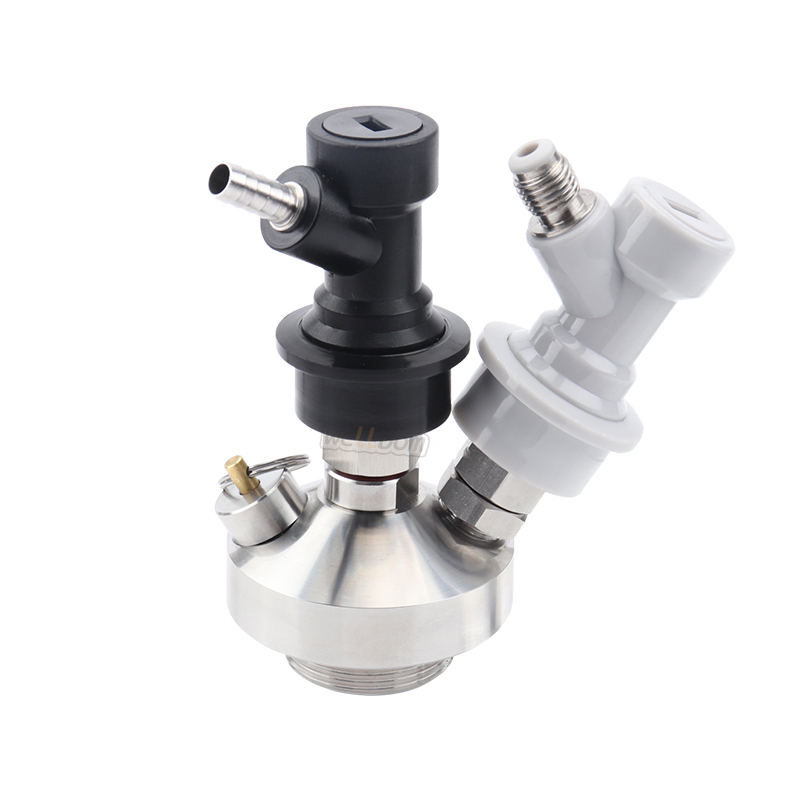 This keg charger fits in your pocket and eliminates the need for cumbersome and costly CO2 tanks, regulators and hoses. 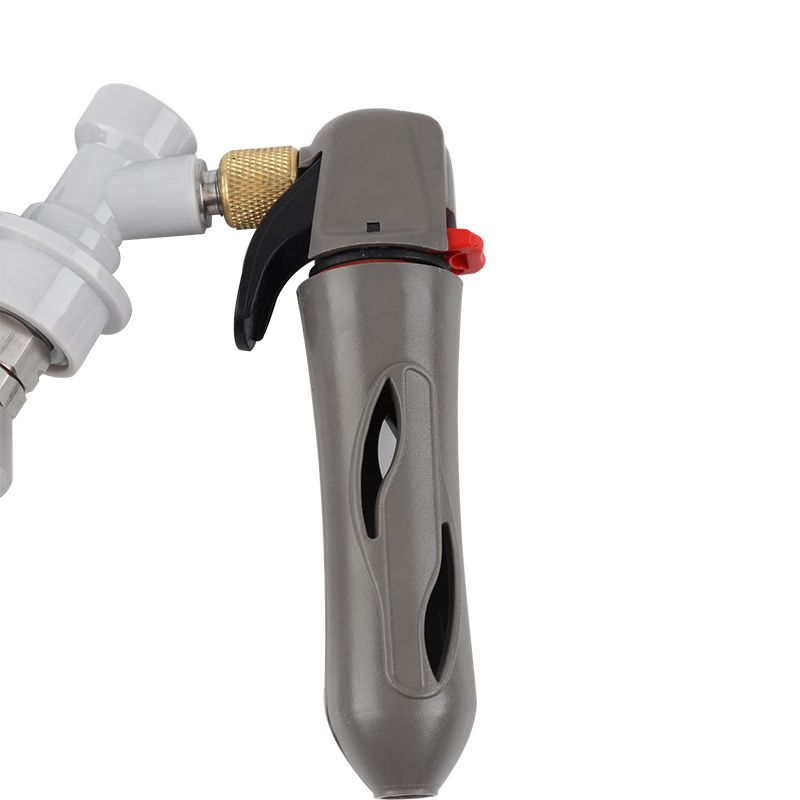 Press the trigger to release CO2 into the keg; Release trigger to stop flow. Save remaining CO2 for later use. Made of high strength, glass-reinforced nylon, with brass valve internals. Only use with with these Refill Cartridges. In stock and ready to ship. Features: Small enough to fit in your pocket. Ideal tool for any home brewer using Cornelius kegs. 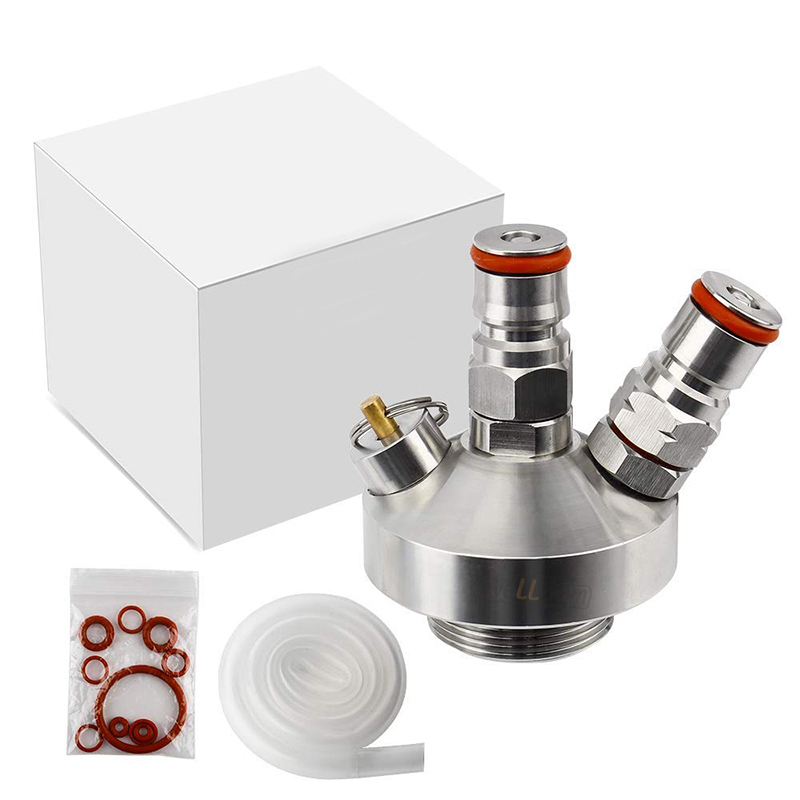 Made of high strength, glass-reinforced nylon with brass valve internals. .
Specs: Dimensions: 2"W x 5"H x 1 3/4"D.
Ideal tool for any home brewer using Cornelius kegs. Made of high strength, glass-reinforced nylon with brass valve internals.